Leatherwood ( Eucryphia lucida, CUNONIACEAE ). The adult moths have dark brown forewings, each with two incomplete off-white bars across the wings. 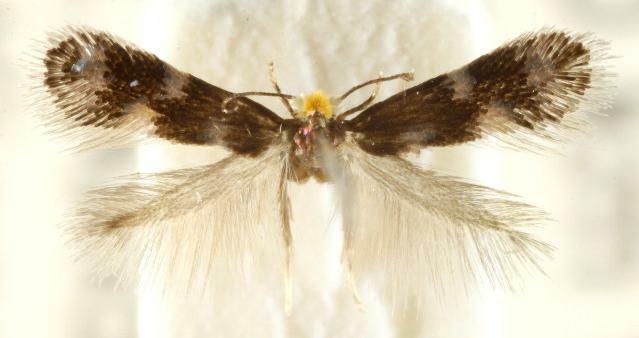 The hindwings are pale brown with broad fringes. The head is yellow and hairy. The thorax is an iridescent pink. The wingspan is about 5 mm.